The Miller Trailblazer® 325 EFI features electronic fuel injection, which saves fuel, offers more reliable starting in all operating conditions and lowers emmissions. It is a 325 amp, 100% duty cycle DC welder and 12,000 watt AC generator. The Trailblazer 325 EFI features a Kohler 23 horse power, fuel injected engine with Miller's exclusive Auto-Speed™ technology. Auto-Speed® matches the engine speed with the welding load. This means that the engine can run at optimum RPM rather than full RPM while under load. This translates into reduced fuel consumption, quieter operation and longer engine life. The Trailblazer® 325 EFI has the most smooth, stable welding arc in the business. It produces X-Ray quality welds whether you are using MIG, Stick or DC TIG welding processes. Can I use the machine while on the factory fiberglass skid? Miller advises that it is okay to leave the Miller Trailblazer 325 EFI Welder 907754 on the factory skid. They advise checking periodically to make sure the machine is always secured to the pallet. The battery charger/jumpstart option is designed and recommended for mechanics or anyone else responsible for a fleet of trucks or equipment. You can use your Trailblazer to charge dead batteries or jump a stubborn engine. Note: Battery charge/jump cables (300422) must be ordered separately. No, the Miller Trailblazer 325 EFI only supplies 10,500 Watts of generator power and the Dynasty 280 DX requires 12,500 Watts. The Dynasty 210 would be a better match. What does it take in addition to the 325 Trail blazer & 30A spool gun to get welding? I would guess some kind of voltage rheostat? Hardware only, I under stand I will use my argon set up. To run the Spoolmatic 30A Spool Gun on the Trailblazer 325, you would need a WC-24 Control (part number 137549). I have a 325 trailblazer i purchased from CYBERWELD i would like to know if i am running 100' to my electrode holder and 100' to my work clamp would i be able to use the Stick weld option to its full potential with 2/0 cable? Would this 2/0 cable work at 50' at 150amps or would there be issues at this distance? There shouldn't be any problem as the 2/0 cables are typically large enough to handle the amperage on a Bobcat or Trailblazer at much higher amperage's. Miller Recommends any of their X-treme wire feeders for the Trailblazer 325 EFI Welder. The recommended part numbers are: 951583, 951543 and 951580. If you purchase the Miller Trailblazer 325 EFI Welder 907512 and it ships to Arizona you will pay Arizona sales tax. Does this welder have excel power option and if not how much is the one that does. I watched a you tube video put out by miller and in it they were welding 7018 and running a grinder at the same time with the machine at idle. The miller rep stated the 325 had Auto-Speed technology, but said nothing about it having the Excel power option. Can this machine be run at idle performing these functions without the excel power option? Also I will need 200' of cable for my welding circuit. what size cable will I need? With the excel package, is it capable off running 220 volt 3hp electric motor or larger? If that is possible does it also do that at an idle like the old 200 was capable of. 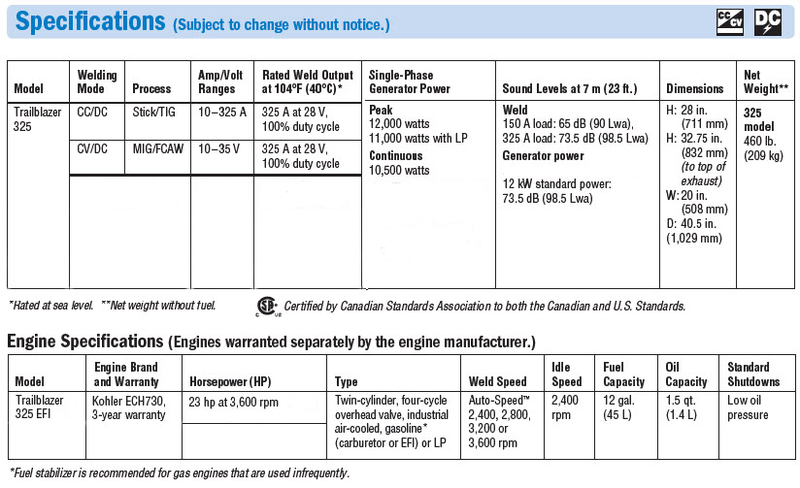 Miller indicates that the Miller Trailblazer 325 EFI Welder 907512 will not run a 3 hp electric motor.. The largest motor they feel it will run is 2hp. 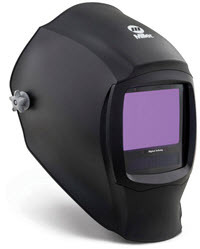 The $5400.00 price for the Miller Trailblazer 325 EFI Welder 907512 is for the machine only . It does not include any accessories. I am interested in purchasing this machine, but have the following questions: 1) what do I need to purchase to use it for non flux core mig? I have the gas bottle and valve, but do I need a gas flow spool gun? If so, what do you recommend? 2) When used as a back up generator, can I add fuel while the unit is running, or add an external tank? I have a new trailblazer 325 I run the ground clamp off the pos. side and the stinger on the neg. side is this ok?? With this set up I get pluseing weld out put . Is this normal? I have 100 hours coming up on my machine Manual says to change oil Should I change filter as well? You can run a Spectrum 875 off of the Miller Trailblazer 325 Welder . Miller Trailblazer 325 EFI Welder 907512 does not come with a wireless remote. That is an accessory that would need to be ordered separately. What is everything that one needs to be able to tig weld with the trailblazer 325? also does the welder have a gas port or something for the argon? or how does the argon get to the tig torch? 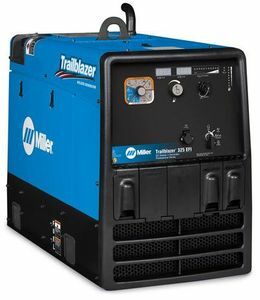 What multiprocess welders does miller offer that will work with the Trail Blazer functionality like the 325 which I seek? Do I really need to buy a separate TIG and MIG machine to benefit from this functionality? I would be interested in a single unit that offered TIG MIG and wire feeder all in one (like the Miller 200) that used the power and features of the 325, and not merely the generator power. Does Miller market a Multi-Process welder to allow MIG and TIG usable with the 325's voltage sensing, or will buying Suitcase AND Dynasty separately be required? I am ordering a trailblazer and want to add a suitcase feeder for mig probably the 12vs. If I want to mig aluminum, could I use a push pull gun or do I have to use a spool gun. im about to order this welder with efi/excel, and im wondering how exactly does the jumpstart option work? does it come with leads to hook up to a battery? does it have a system that you cam charge a battery and weld and etc? also where exactly do you hook up whatever you would run out to a dead machine to jumpstart it ? there seems to be now information on the jumpstart system. Can I get a remote for the Trailblazer 325 EFI to turn the heat up and down without going to the machine? Can I get this EFI welder with excel, GFCI, and an electric fuel pump installed? With the addition of the Dynasty 200dx package you would be able to weld aluminum . You would simply plug the Dynasty into the Miller Trailblazer 325 EFI Welder 907512 auxillary power outlets and the trailblazer would be used as a generator. does this machine have a 230 volt single phase receptical? three prong? hi looking at thi 325efi with 12,000 watt gen also would like the jump start option, and what is th ac amp range? Does the 325 have "Hot Start?" need weight for miller trailblazer 302 ? The Miller Trailblazer 302 EFI Welder 907452 weighs 568 lb for gas/lp models and 720 lb for diesel. I would've rated this a 5 star if it wasn't for the delay in product shipment. If you're in a hurry to get the product, just be aware it's going to take "4-7 days" and those are business days, not weekends. I've found this to be a constant with this company but I will say, I keep coming back because there's value in the patience quotient needed. Product is great. Just work on improving turn-around time; everyone else on the internet is focused upon that element of the transaction. BTW, the welder is exceptionally good!! 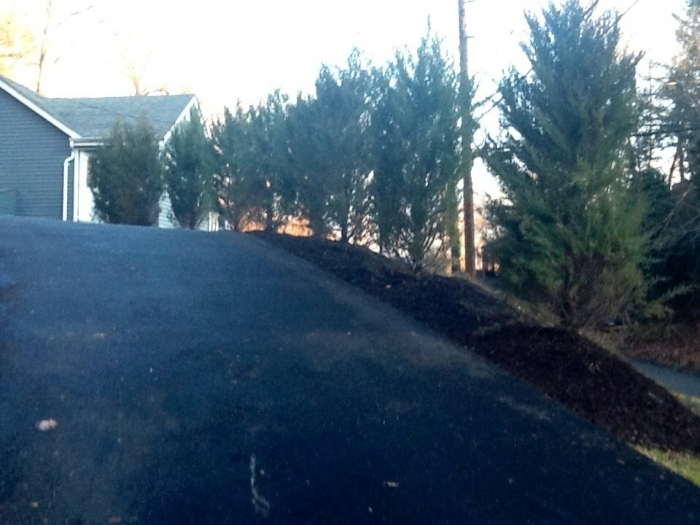 Receive in good condition, had it in two weeks, ran it 100 hrs, no problems! This 325 amp 100% duty cycle machine weights in at around 470 lbs. The control panel is easy to use and easy to adjust even with stick welding gloves on. The display is easy to read even in direct sunlight. The welding quality and smoothness is very impressive and consistent. Cyberweld made the ordering easy and simple and efficient. ProsThe Trailblazer is compact, fuel efficient, and quiet compared to previous versions of the trailblazer and bobcat line. The oil filter, oil drain, fuel filters, air filter, oil fill, and dip stick are all easy to access and service. ConsOrdered the Trailblazer without Excel power and regret it for not spending the extra money for this option. For a gasoline welder it does really well. I got the excel power with the EFI and the jump start options. It really does just sip the gas. I ran my Spectrum 875 with it, and it ran very well. I love the xx18 mode with 7018 rod, very smooth. Oh and it runs 7018 1/8" rod at idle with the grinder going at the same time, like I said it only sips the gas. It's a great little welder.